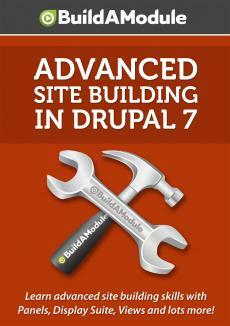 The Panels module brings together configuration that's typically scattered throughout Drupal into a single interface. This makes it both powerful and novel and complicated. Once you play with Panels a bit, it will quickly become second nature, but in this video we explain why it's just fine to feel overwhelmed initially. So Panels is a pretty popular module. Thank goodness I have a pop filter on this microphone. And it's popular for a good reason. What it does is take configuration that normally can be found sort of scattered throughout Drupal. You know how to used Context in order to decide where we were going to display certain content. We used the Display Suite inside of the Manage Display structure for a node type to decide how to lay out fields in a particular view mode.